One of the smartest ways to add light and airflow to your living space is by using skylights. And whether they were part of what drew you to your home or an upgrade you made yourself, these beautiful portals to the sky are an enchanting addition to just about any home. Skylights are also a surprisingly effective tactic in boosting your energy savings and reducing your utility bills. If, like a lot of Chicago residents, you’re already harnessing the ventilation and light management potential of energy efficient skylights, you can take things a step further by installing attractive and useful window treatments designed to enhance your skylights. Generally speaking, you can improve the beauty and functionality of your skylight with window treatments in the same way you would a more traditional window. Depending on your design choices, you can use the same range of customized shades, blinds, and shutters to improve your skylight as your other windows. Practically speaking, however, your best bet may be shades. Flexible, available in a wide variety of colors, materials, and opacities, and easily upgraded with motorization, shades give you the power and versatility to enjoy the benefits of your skylights while gaining even more energy savings and aesthetic appeal. When it comes to choosing the right shades for your window to the wide world above, you have a range of options for materials, styles, and function. To make the most of your window treatments, it’s best to consider both the room the skylight is in and how you’ll be using it. Cellular Shades The most energy efficient window treatment on the market today is also one of the most attractive and versatile. 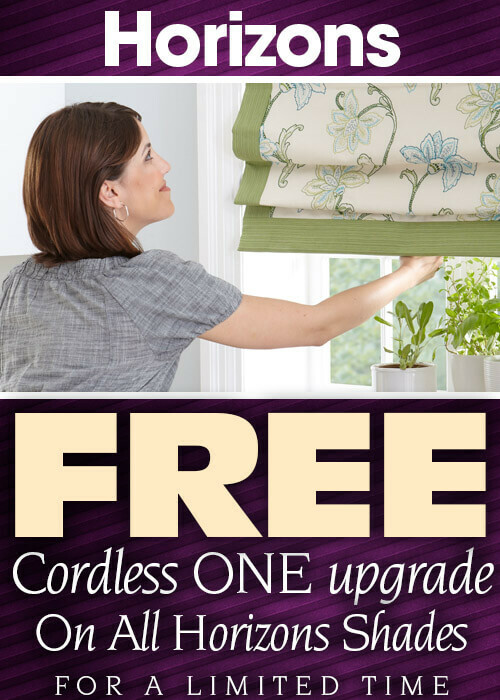 Easily customized to unusual shapes and sizes, cellular shades stack tightly when open and provide light-blocking, air-trapping opacity when closed, giving you airflow and light when you want it, and privacy and improved energy efficiency when you don’t. Layered Shades Combining sheer and colorful fabrics, layered shades not only provide a uniquely stylish look, but also give you enhanced UV protection. If you put a premium on protecting your furniture, appliances, and furnishings from the sun’s damaging rays, choosing these showstoppers can give you unparallelled protection while still allowing for plenty of sun year ’round. They’re also compatible with motorization, making control and maintenance easy. Exterior Shades Shifting the shade outside might be an appealing option if you’re looking for powerful light and UV protection in a weather-resistant, easily motorized package. Light management and privacy are enhanced by these tough treatments, and you can even pair them with a second set of internal shades to maximize your energy savings and light control. No matter which style of shade you choose, adding a modern and stylish window treatment to your skylight is a reliable way to boost your quality of life, protect your home’s value, and get the most out of your gateway to the sky. If you’re looking to take your skylights to new heights of fashion and functionality, reach out to your friendly neighborhood window treatment experts. They’ll arrange a free consultation to help you decide which option best fits your style, needs, and budget, and create a skylight that’s just right.